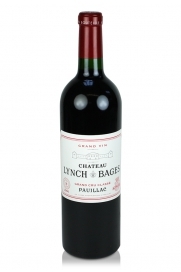 2006 was an outstanding vintage for this famous fifth growth Pauillac Château Lynch Bages. Powerful, firm and full-bodied, the 2006 has surpassed itself and produced a wine of incredible concentration and worked beautifully with the classic characteristics of its terroir. Dense purple in colour this impressive wine offers ripe fruit, cassis and spice along with hints of roast beef, herbs and oak.